1. I'm so close to finishing this Bonnie & Camille Log Cabin Swap quilt. It just needs quilted and bound. 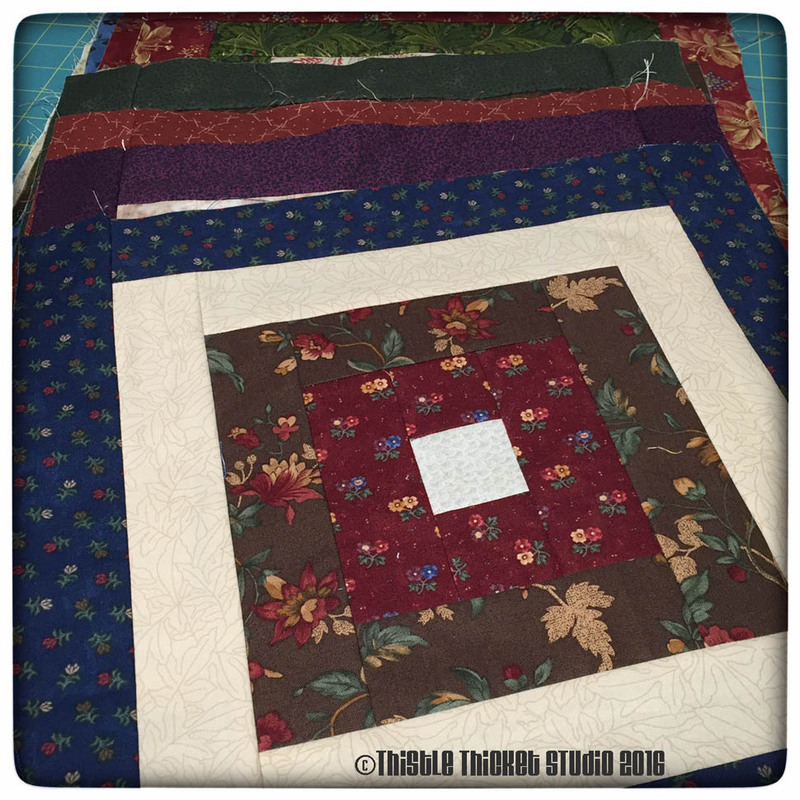 In fact, I loaded it on the longarm yesterday so I'm ready to get this one done! 2. 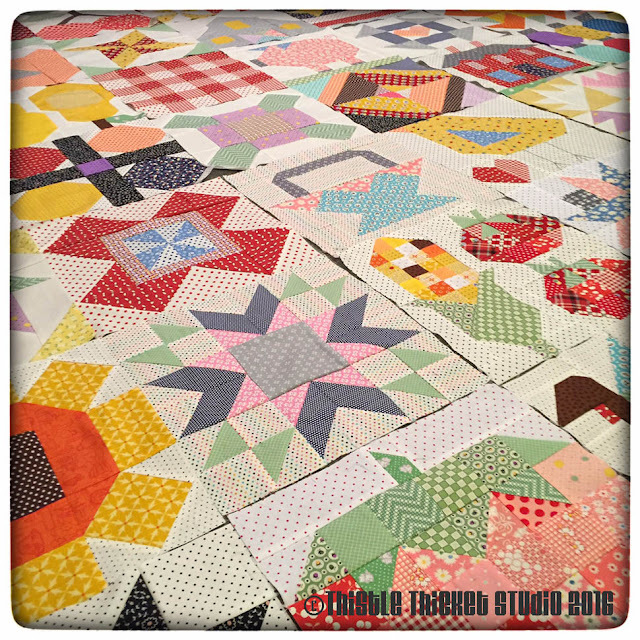 I'm hoping to get back to this Farm Girl Vintage quilt this quarter. 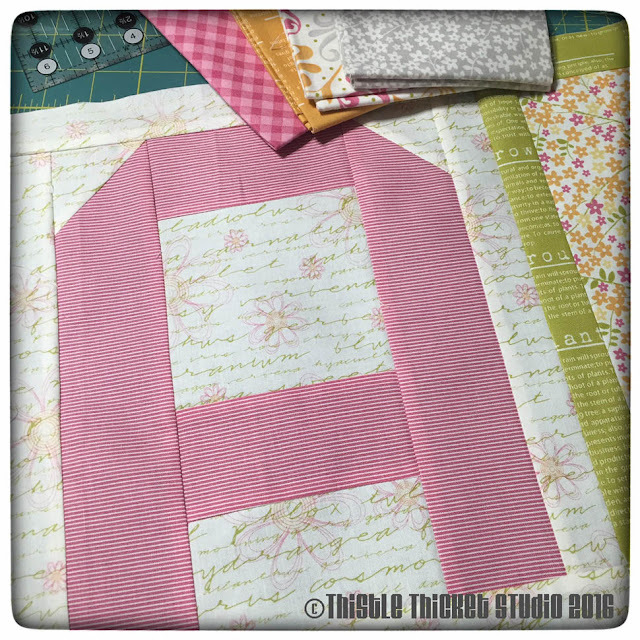 I need to sash all the blocks together for the top, then I have fun ideas for the backing to make it a reversible quilt. So many ideas, so little time! 3. I still have this leaders and enders project that needs a bunch of postage stamp blocks made to complete it. 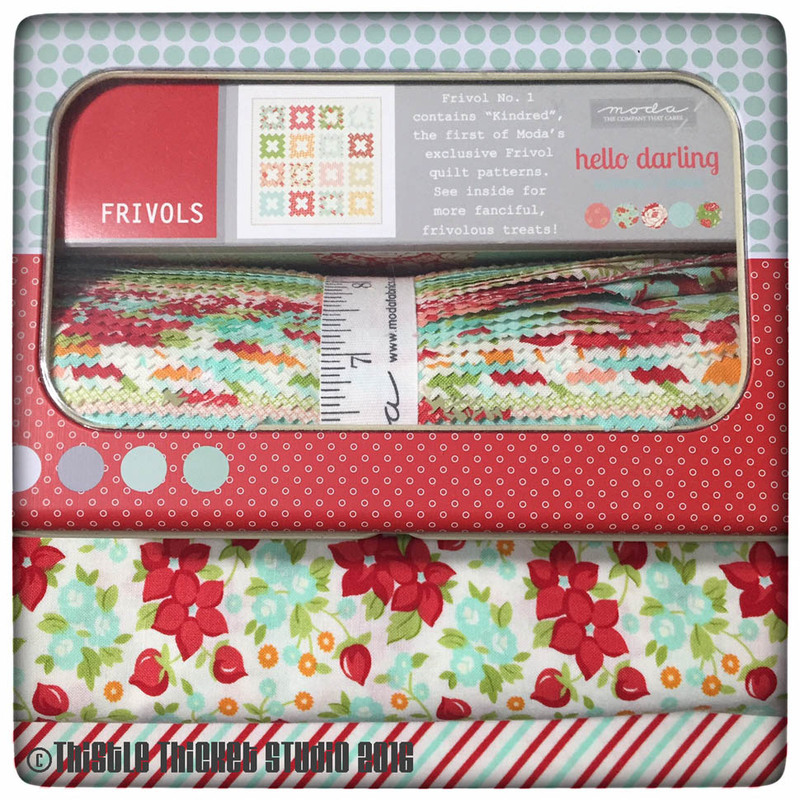 Maybe I'll get those made this quarter as I work on these other projects. 4. I'm famous for jumping from project to project so I want to include a couple of new projects for when I'm sick of working on UFOs. 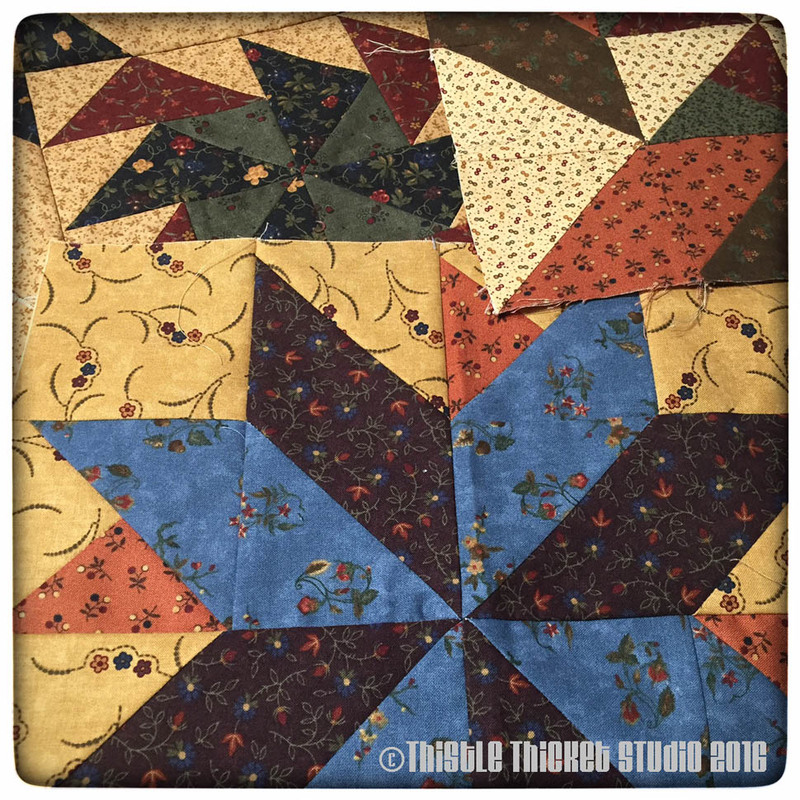 This "Fall Frolic" quilt has been sitting on my shelf for awhile now. I bought it last year on our Row by Row girls road trip. 5. The other new project that's been sitting around for awhile is this Bonnie & Camille Frivols quilt. Have been dying to dig into this one but have been restraining myself. Maybe I'll restrain myself a little less this quarter! 6. 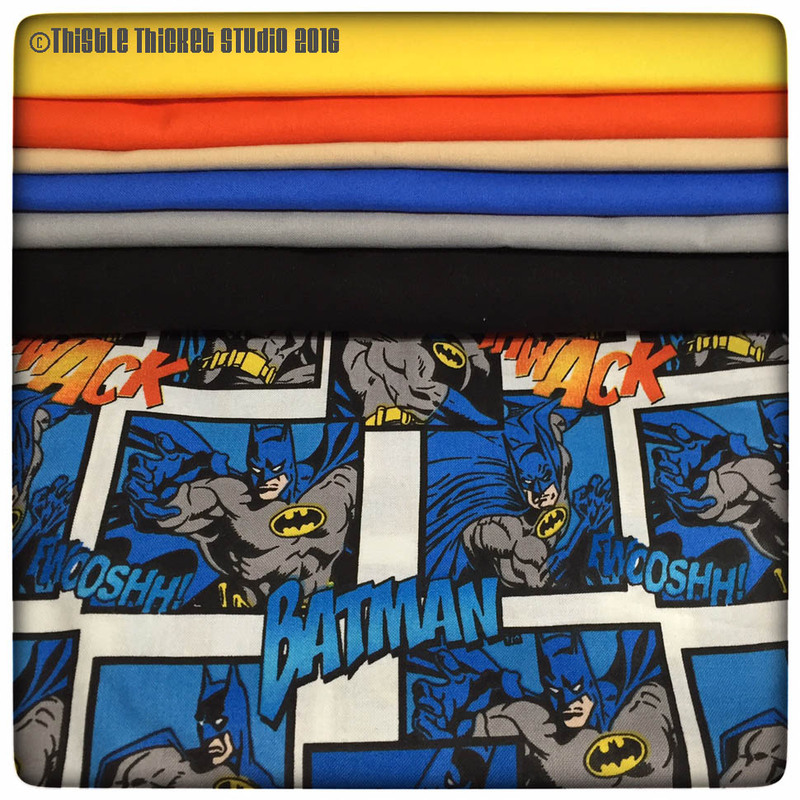 But the first 'new' project I need to tackle is my grandson's Batman quilt. He requested this one when his little brother received his "Robots All In A Row" quilt and I don't want to disappoint him! 7. These are the blocks from my quilt guild's BOM last year. I've decided on a setting so now I need to get these blocks sewn up! 8. My last two projects are to celebrate Moda Bake Shop's 7th Birthday. 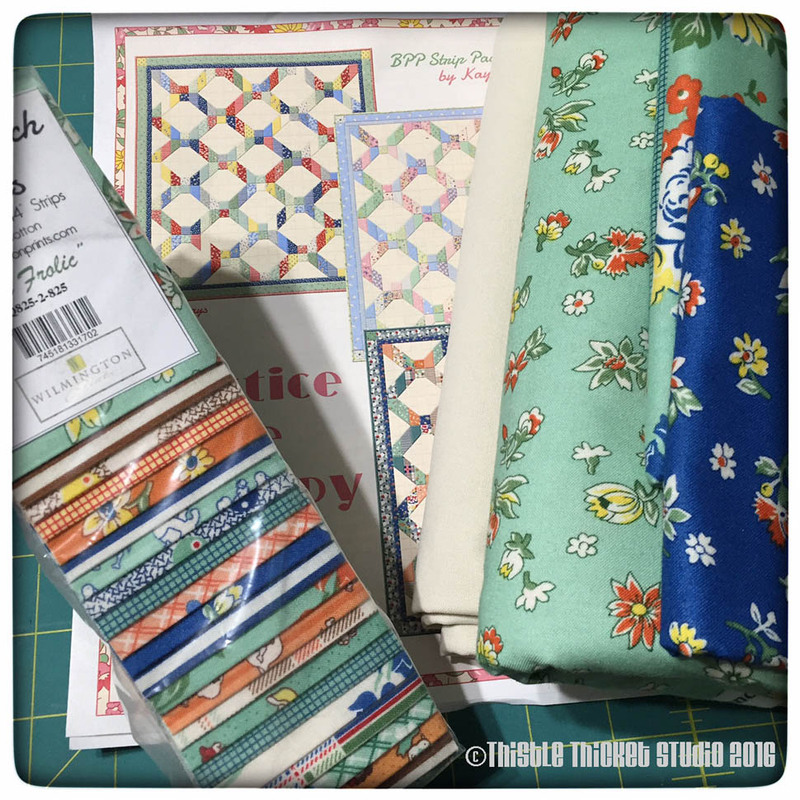 As one of the co-hosts of MBS' ABC Birthday Sew-Along, I have been working on different projects using the "Spell It With Moda" alphabet block patterns. This is next on my list to finish up! 9. 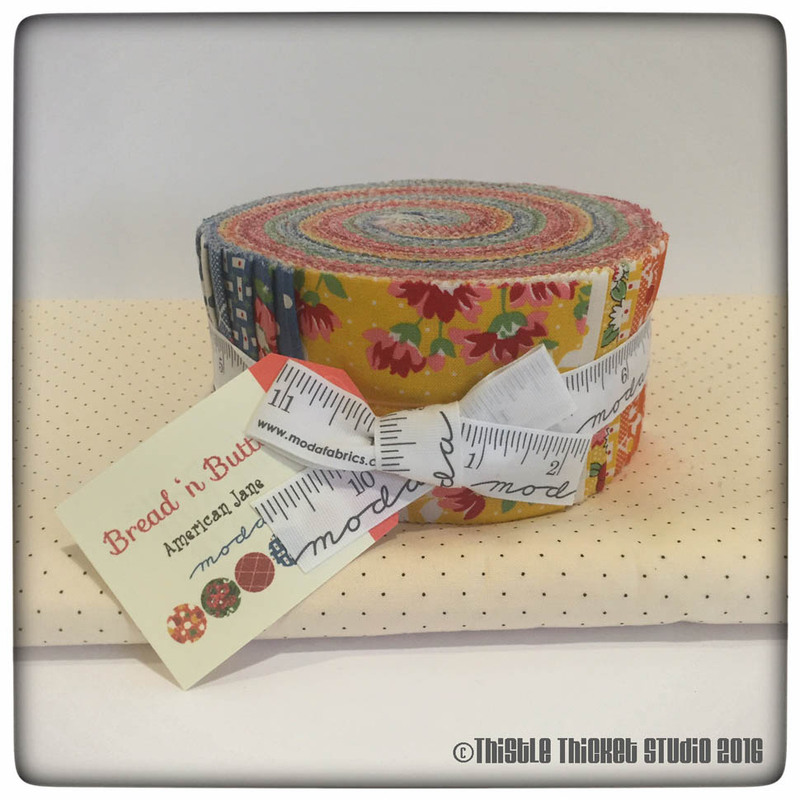 Then I have some secret sewing to do with this jelly roll of "Bread 'n Butter" that I'll be sharing on the Moda Bake Shop website in May! There ya go! 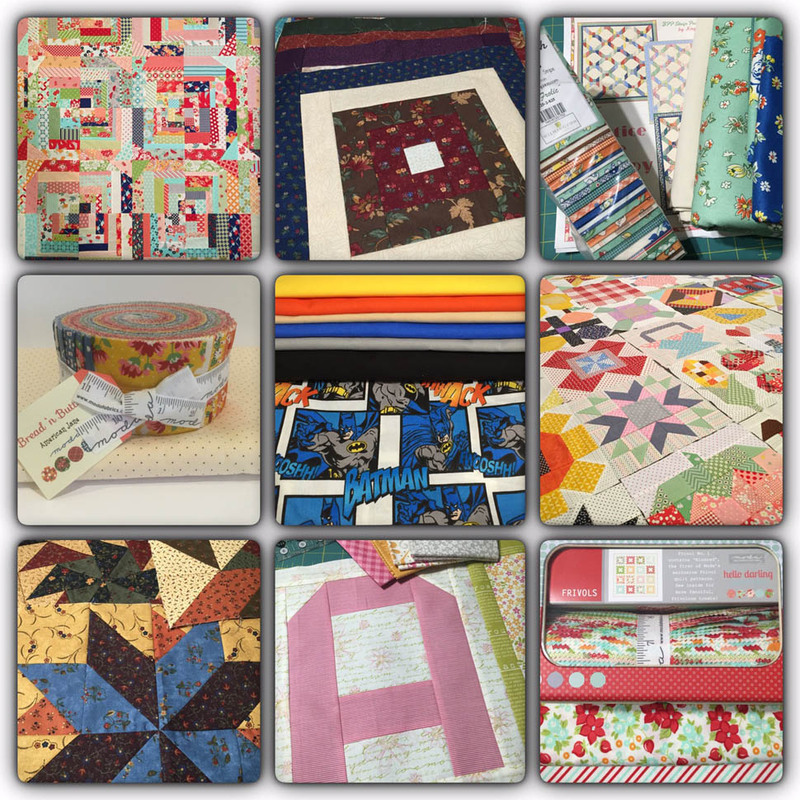 Nine projects this quarter. That's 3 projects per month! And April is half way over! It's time to kick it in gear. 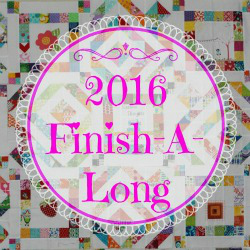 I'll be linking this post up with the 2016 Finish-A-Long for motivation to get these projects finished. What WIPs and UFOs are you tackling this quarter? Let's hear about them! 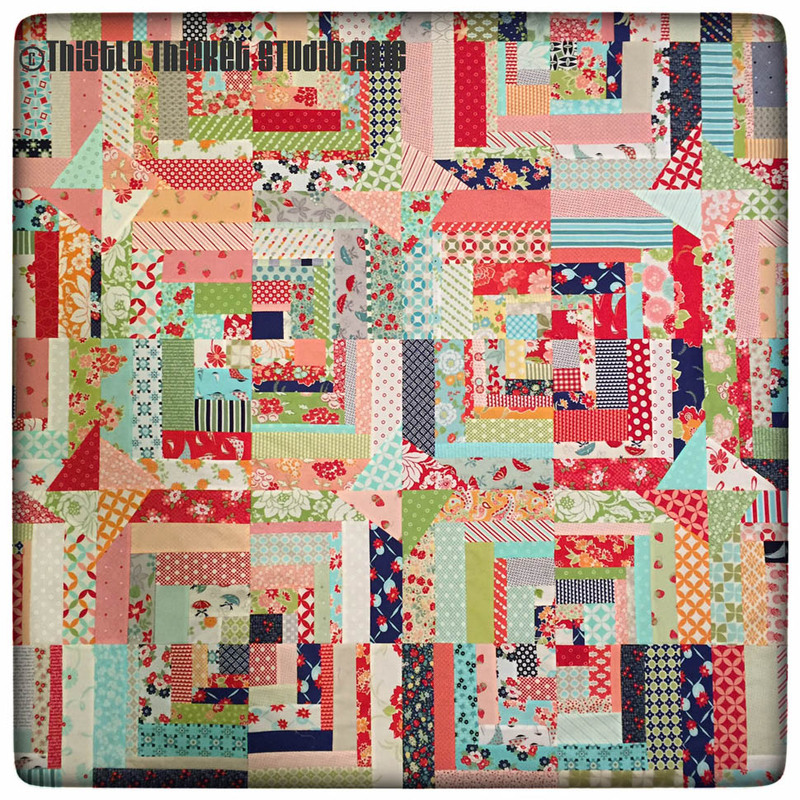 I did the farm girl vintage quilt to, mine is all together I just need to quilt it. I am sure your grandson will tell you the rest can wait , his is the most important !